The scandal is exploding across the media, with the Washington Post and other media outlets now retracting their original reporting based on CNN claims — now proven false — that attempted to assert the President had prior knowledge of a Trump Tower “meeting with the Russians,” an event that now appears certain to have been a deep state set up to ensnare Trump associates. The journalistic lies of CNN and Carl Bernstein are so blatant and disturbing that even Glenn Greenwald, who helped break the Edward Snowden story, has published a scathing piece exposing the gross journalistic misconduct that now appears to be routine at CNN and other Trump-hating “news” outlets. “CNN simply refuses to address the serious ethical and journalistic questions raised about its conduct,” warns Greenwald at The Intercept. “The substance of the CNN story itself regarding Cohen – which made headline news all over all the world and which CNN hyped as a ‘bombshell’ – has now been retracted by other news outlets that originally purported to ‘confirm’ CNN’s story,” he writes. At issue in all this is the CNN / Bernstein claims that Michael Cohen was not a source for their “bombshell” story which originally claimed that anonymous sources confirmed Cohen was aware of a Trump/Russia conspiracy and intended to deliver that information to Robert Mueller. This original story was heralded by CNN as a groundbreaking, Earth-shattering news item, and it was breathlessly repeated by thousands of news outlets, blogs and TV shows all around the world. But it all turns out to be false. Cohen’s own attorney, Lanny Davis, has now publicly admitted his original assertion was false. Michael Cohen has no such knowledge, Davis now explains, and CNN’s original report was baseless. Yet to the shock of everyone, CNN still refuses to retract its original story, almost certainly because Carl Bernstein’s name is associated with it. And if Bernstein is outed as a fake news journalist who utterly fabricates false “facts” to take down another conservative President, then the entire history of Bernstein’s reporting — including the Nixon-era Watergate stories — must be called into question. “The fact that Bernstein–who along with Bob Woodward broke and chronicled the Watergate scandal that led to the eventual resignation of Richard Nixon from the presidency–was on the byline was significant, as it threw the weight and heft of his personal credibility behind the network’s story,” reports Breitbart News. In the piece, Bernstein, Sciutto, and Cohen used anonymous “sources” to claim that President Donald Trump’s now former personal attorney Michael Cohen was willing to undercut President Trump’s claims about the famed 2016 Trump Tower meeting that the president’s son Donald Trump, Jr., his son-in-law Jared Kushner, and then-campaign chairman Paul Manafort had with a Russian attorney with links to the Kremlin. However, CNN deceived its audience in two ways. First, CNN falsely wrote that Lanny Davis was not a source when he actually was; and secondly, CNN made claims from an anonymous “source” that Davis has now exposed as being completely false. Yet CNN refuses to retract its original story or explain how it arrived at its original reporting. In essence, CNN is caught in a huge journalistic scandal and is only digging deeper down the hole of fake news. Michael Cohen told lawmakers last year, in sworn testimony, that he didn’t know whether then-candidate Donald Trump had foreknowledge of the 2016 Trump Tower meeting with Russians, three sources with knowledge of Cohen’s testimony tell Axios. In other words, sworn testimony now utterly contradicts CNN’s fake news claim, yet CNN refuses to correct its own story. “How can CNN possibly justify refusing to address these questions, and refrain from informing the public about these critical matters on a story that they themselves hyped for days as a ‘blockbuster,’ one of the most significant stories yet in the Trump/Russia saga?” asks Greenwald. It turns out that CNN, the Washington Post, the New York Times and other fake news left-wing activist publishers — we don’t dare call them legitimate “news” organizations — insist that their own lies can never be questioned. While they routinely call everyone else liars, traitors and Nazis — including the President himself — when they fabricate fake news “facts” themselves, no one is ever allowed to question their reporting. CNN wanted the story to be true, of course, which is why they so heavily promoted it with “bombshell” language. “[W]hen CNN reported this, it was a major deal–because it would have justified the continued existence of the Special Counsel’s office despite a complete lack more than a year into this investigation since President Trump fired now former FBI director James Comey of any evidence at the center of the mandate of the probe,” reports Breitbart News. Now that CNN is caught red-handed, it flat-out refuses to admit it fabricated the story in the first place. They have to keep up the appearance of being “journalists” when, in reality, they’re little more than activist Democrat hacks pretending to be journalists. Breitbart News contacted CNN spokeswomen Emily Kuhn and Lauren Pratapas–two women who have made their bones defending the network’s fake news shenanigans–and asked if the network stood by the story. Breitbart News also asked Kuhn and Pratapas if the network stood by Bernstein, Sciutto, and Cohen, the three listed on the byline, and whether there would be any consequences whatsoever for the trio caught peddling fake news. Kuhn and Pratapas did not respond. Davis’ astounding admission in BuzzFeed on Monday evening that he was a source for the fake news story also hurts yet another CNN reporter, media writer Oliver Darcy, who wrote on Sunday evening that CNN’s critics do not know who CNN’s sources were. Anyone who dares criticize the media’s fake news is immediately accused of engaging in “media criticism” and told to shut up. The First Amendment protects the fake news media, they themselves claim, and no one can question their false reporting with contradictory facts. In fact, Greenwald has now come to the very same conclusion we’ve been sharing for years: That the left-wing media deliberately, repeatedly and routinely fabricates fake sources to invent fake news that’s designed to damage conservatives in general and President Trump more specifically. The upshot of all this is that once again, CNN confirms it is not merely “fake news” but deliberately deceptive fake news. The network routinely fabricates fake sources and fake “facts,” and when it gets caught, it attacks the accusers rather than leveling with its own audience and admitting to its serious violations of journalistic standards. CNN, in other words, really is the enemy of America in the sense that it abuses its power to mislead the public in ways that have serious, long-term and potentially very damaging consequences to the American republic. CNN is, in essence, a weaponized propaganda branch of the DNC, and when it comes to reporting something that might damage the President, CNN has internally decided that facts don’t matter as long as the fake news is effective in damaging Trump. Given this egregious business model of lies, deception and anti-America hysteria that damages our nation, it is astonishing that CNN is even allowed to continue operating as a U.S. corporation that spews lies across millions of TV displays in airports and homes. Without question, CNN is engaged in massive journalistic fraud and election fraud, and the network abuses the very same First Amendment that it hides behind to carry out its war on truth. CNN is a disgrace to legitimate journalism, and every single person who works for CNN is willfully engaged in a fake news cartel that pursues constant attacks on America as its primary purpose for existence. CNN is a poison America… a cancer that infects modern society. Its “news” anchors and writers are, simply put, seditious traitors to America who deliberately fabricate fake news sources to destroy this nation, mislead its citizens and sweep a duly-elected President out of power. CNN isn’t just very fake news, as the President says: It’s a very real threat to this nation. 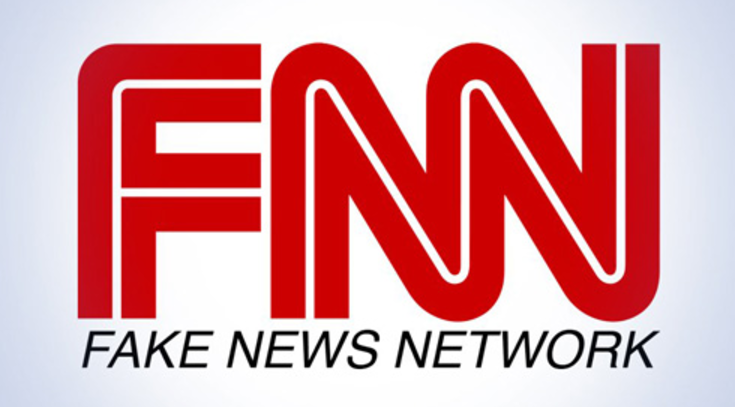 See NewsFakes.com for more coverage of the fake news media. As a side note, I’m also starting to suspect that the controlled corporate news takedown of Richard Nixon was also heavily driven by fake news hysteria dreamed up by none other than Carl Bernstein himself.